There is no doubt that Star Wars: The Force Awakens was one of the top movies of 2015, a great Star Wars movie that actually did justice to George Lucas original trilogy and has become the top-grossing Star Wars movie of all time. The movie also featured great performances from actors like Harrison Ford (who did a great job reprising his role of galactic smuggler Han Solo), and from newcomers like Oscar Isaac and John Boyega. And the latter will be reprising his role as the rebellious Stormtrooper Finn in the upcoming Episode VIII, which will be released in late 2017 and which will be directed by Rian Johnson. 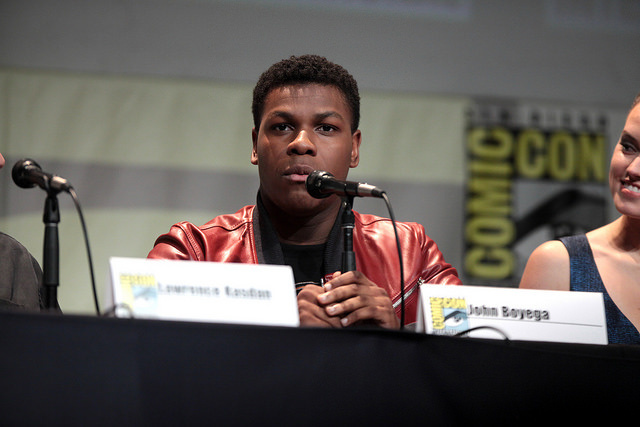 English actor Boyega has also shown an interest in video games before, as he had previously complained about the lack of a single player campaign in Electronic Arts’ megahit video game Star Wars Battlefront (and actually the game’s producers have paid attention to fan requests for a campaign, as one is likely to feature in Battlefront’s upcoming sequel). But it appears John Boyega is also a Pokémon Go fan, and has joined the millions of players worldwide that are enjoying the latest smartphone game by developer Niantic and Nintendo. Boyega actually boasted of capturing a Pikachu (one of the different breeds of Pokémon which feature in the game) while shooting Star Wars Episode VIII in England’s Pinewood Studios. “I was the most popular kid on set for like a day”, the actor told Techcrunch in an interview, adding that “It’s great the ways technology has brought us all together”. Pokémon Go is an augmented reality game that lets players catch Pokémon in real-world locations and has become one of the biggest smartphone games of all time. The Pokémon, those cute little creatures which originated in Japan and which have appeared in countless video games and some top-grossing movies too, are now one of the most recognizable video game characters in the world. Next: Will Ubisoft release remasters of the Assassin’s Creed games? Will Ubisoft release remasters of the Assassin’s Creed games?